‘Check your vision’ is now the new FIA Golden Rule for Safer Motoring. Find out how Essilor and the Fédération Internationale de l’Automobile (FIA) have teamed up to promote the vital role that vision plays in road safety. When one in five drivers can’t see the road properly, it’s clear that more needs to be done to make the public aware that road safety begins with good vision – the most important sense for taking decisions on the road. On September 2, Essilor announced a three year partnership with the Fédération Internationale de l’Automobile (FIA) at the Italian Grand Prix in Monza. As part of the FIA Action for Road Safety campaign, Essilor and the FIA will work together to highlight the importance of regular eye checks for safe driving and to help reduce car accidents and injuries. With 245 member clubs representing over 80 million road users in 144 countries, the FIA is a leading voice in the automotive field. 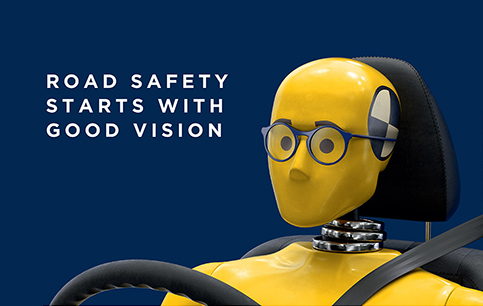 Building on this new partnership with FIA Action for Road Safety Campaign, Essilor is launching a global awareness campaign (Road safety starts with good vision) featuring the world’s most widely recognized symbol of road safety – the crash test dummy. Now equipped with a pair of eyeglasses, Essilor’s crash test dummy campaign aims to get the message across on the importance of good vision for driving and the safety of road users. The partnership between Essilor and the FIA was endorsed by the World Council of Optometry at its annual global congress held in India this week. 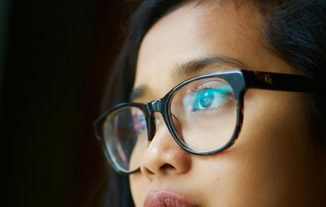 This support will help Essilor to mobilize eye care professionals across the world in the fight against road traffic accidents through a ‘check your vision’ call to action. In India, 81% of drivers with uncorrected vision are involved in crashes – 30% higher than drivers with good vision. Over 200 doctors and school nurses joined experts from Essilor on February 23rd for the launch of a partnership between Vision for Life and the French Ministry of National Education. 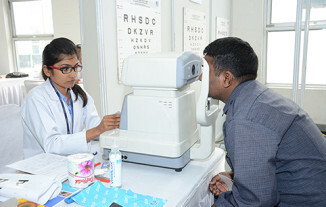 Essilor Vision Foundation has joined forces with automobile giant Toyota to offer vision care services to taxi drivers at Indira Gandhi International Airport and help raise awareness among Indians of the importance of good vision on the road.